Rei Kawakubo, creative director of Comme des Garçons, has never been interested in the limelight, only agreeing to a handful of interviews throughout her career. You'll find very few pictures of Rei on Google images, which, considering she founded the cult label 44 years ago, is a testament to her disinterest in fame. However, next month all eyes will be on Kawakubo, as she is the subject of this year's Costume Institute exhibition titled "Rei Kawakubo/Comme des Garçons: Art of the In-Between," and as is tradition, her work will also be the theme for the red carpet at this year's Met Gala. She founded both Dover Street Market and Comme des Garçons, so it unsurprising that Anna Wintour has called her a "designer's designer." Not only is her work about to be displayed in one of the world's most anticipated exhibitions, but her own distinctive way of dressing is also likely to be examined in the run up to the Gala. Many fashion designers swear by an everyday uniform, from Karl Lagerfeld in monochrome and the ever-present fingerless gloves to Céline's Phoebe Philo formula of Stan Smiths and tailored trousers. Kawakubo also has an established uniform, as she rarely veers away from leather jackets, black midi skirts, shirting and trainers (all items that never fail to please us, too). Scroll below to be inspired by Rei Kawakubo's work uniform. Style Notes: Kawakubo often wears black tiered midi skirts, black tailoring, a crisp white shirt and statement flats or trainers. 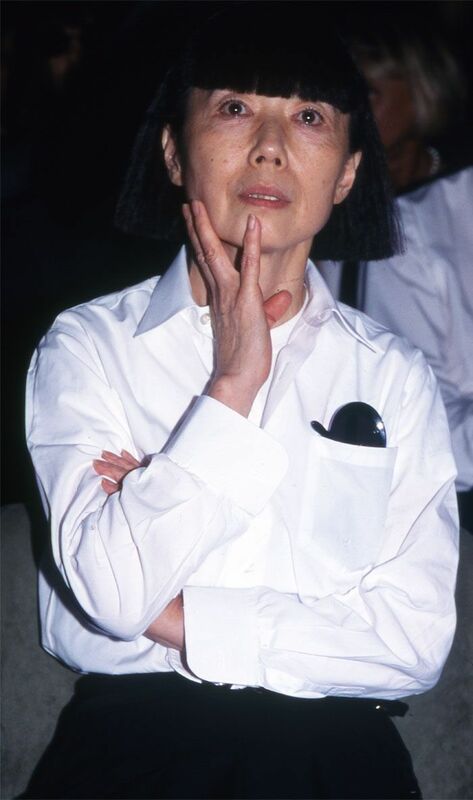 Style Notes: Kawakubo usually wears head-to-toe black (only ever broken up with white or red pieces). At fashion week, the designer often hides behind oversize black sunglasses and a black scarf. Style Notes: Leather biker jackets are a Rei Kawakubo signature, either in red or black, and when it comes to handbags, she often wears a practical black backpack. Scroll below to shop Rei Kawakubo's signature pieces. For more shopping, see the new-in pieces that will definitely sell out this week.